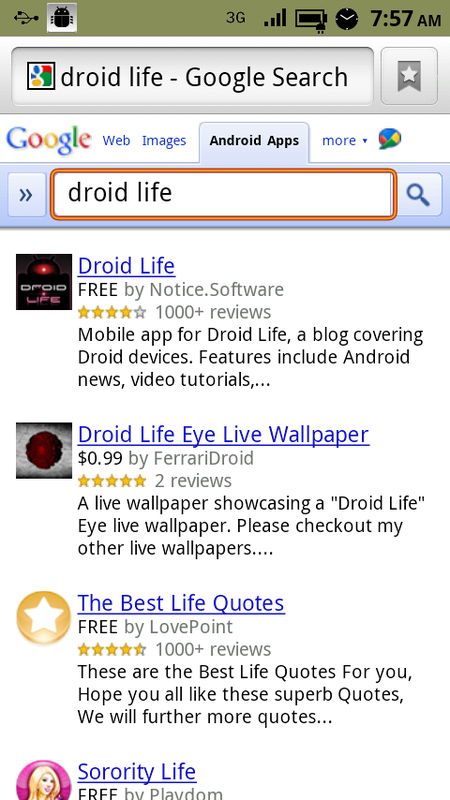 Not a big fan of the way the Android Market searches for apps? Then feel free to use regular old Google Search for the task. 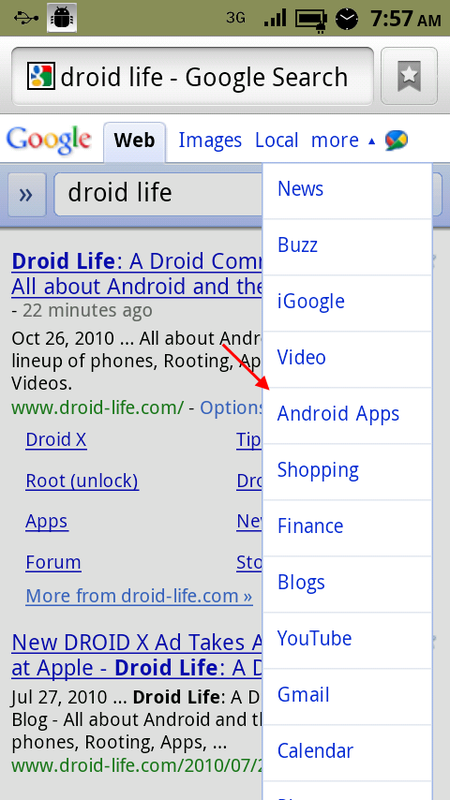 If you open up google.com from your mobile browser and hit the “more” pull down menu, you will see the option to search for “Android Apps.” Once you find the app you have always dreamed of, like ours, tap on it and you will be redirected straight into the market for installation. Sweet right? And speaking of Google Search, anyone else seeing “Instant beta” yet? Still nothin’ on my phones.